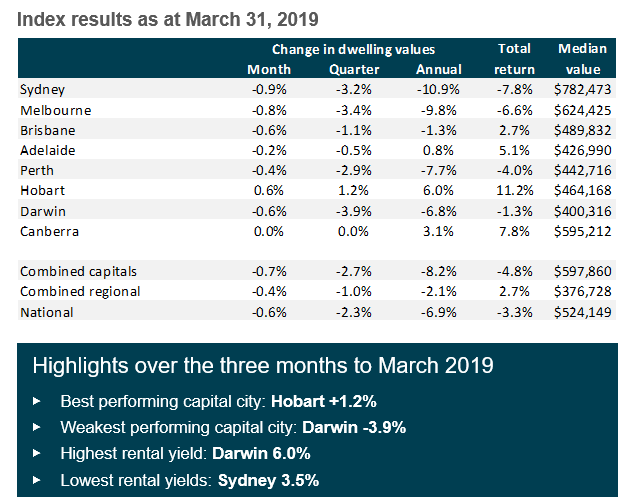 “While the pace of falls has slowed in March, the scope of the downturn has become more geographically widespread," CoreLogic head of research Tim Lawless said. 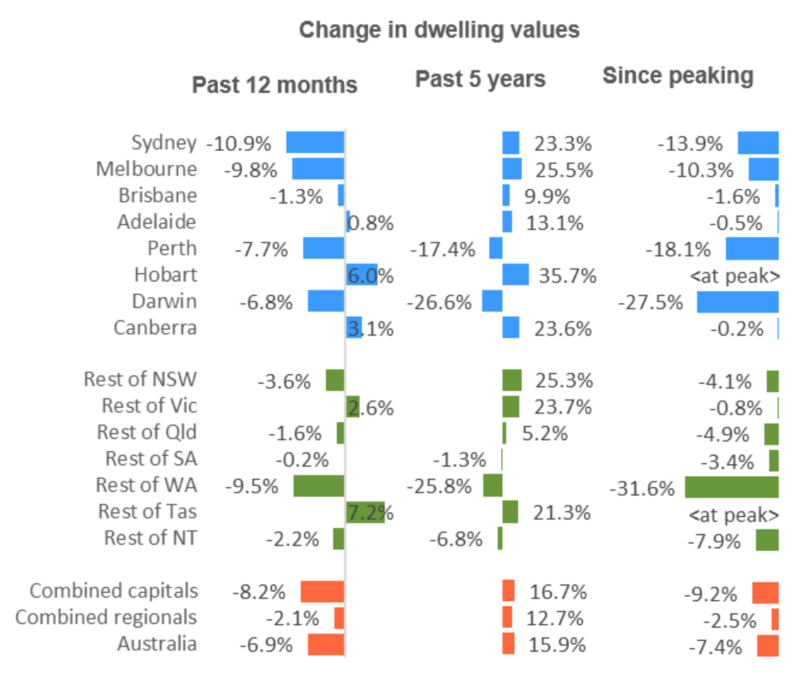 Australia's regional housing markets have also deteriorated. Regional areas outside Sydney declined by 3.6% over the past year while regional Queensland saw a 1.6% decline. Lawless said Australia's economy is faltering - intensified by the real estate crisis - making it "increasingly likely" that the Reserve Bank of Australia (RBA) will slash interest rates in the coming quarters. RBA's interest rate has been hovering at 1.5% for two years. The expectation of two cuts would take the rate near the zero lower bound (.5%). "While any cuts to the cash rate may not be passed on in full, a lower cost of debt will provide some positive stimulus for the housing market," he said. "As dwelling prices trend lower or level out, household incomes are edging home and mortgage rates remain around the lowest level since the 1960s. "First home buyers are clearly taking advantage of the improved levels of affordability and less competition in the market." Even if the RBA cut rates in the near term, it wouldn’t bring back property boom prices observed several years ago. 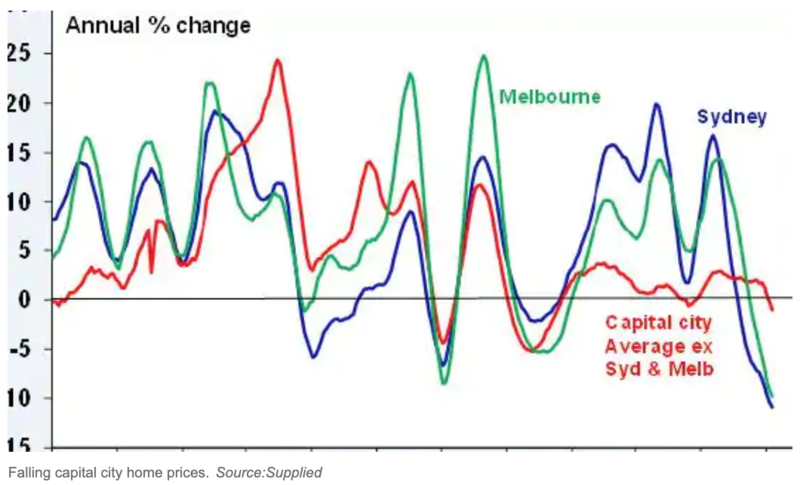 Australia's housing meltdown is expected to deteriorate into 2020, with no end in sight.